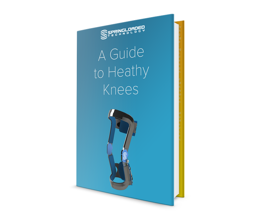 A Guide to Healthy Knees: Download Your Free E-Book! Do you have knee arthritis? Have you suffered a knee injury? Did you recently have knee surgery? Don't let these setbacks interfere with your life; get back to what you love (whether it's sports, hobbies or just being mobile) with your free copy of "A Guide to Healthy Knees". What should you Expect from a Knee Brace? Spring Loaded is redefining the limits of human movement. Our bionic technologies improve strength, mobility, and endurance. Levitation, our bionic knee brace, powers your knee joint and leg muscles so you can work harder, play longer, and do more than you thought possible. Levitation stores energy as you bend your leg and gives it back to you as you straighten your leg, when you need it most. In short, Levitation gives you the power to do more of what you love. © 2016 Spring Loaded Technology | All rights reserved.